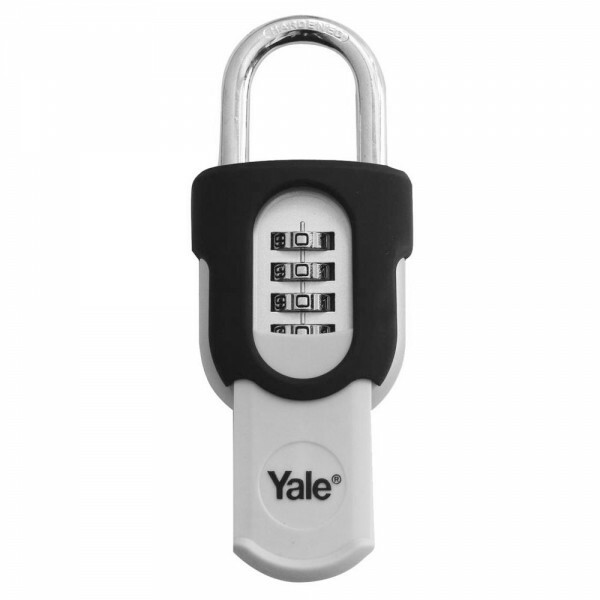 The Yale weatherproof combination padlock 50mm has a zinc body with protective cover and a hardened steel shackle. Its cover protects the re-settable, 4 dial combination thereby making it suitable for outdoor use. The Yale weatherproof combination padlock 50mm is suitable for garages, sheds, outdoor storage, cellar doors, gates and boats.